Wendy Perrin is the editor of WendyPerrin.com, where she shares her encyclopedic knowledge of travel solutions and travel planners. Prior to founding WendyPerrin.com, Wendy spent two decades as Conde Nast Traveler's Director of Consumer News and Digital Community, and she is also currently serving as TripAdvisor's Travel Advocate. Follow her on Facebook and @wendyperrin for all her best tips. The dollar is once again king: Since the Great Recession, the Unites States’ economy has recovered better than any other major country’s: At the start of 2015, our currency was at an eleven-year high compared to those of other major countries, while the euro was at a nine-year low. Local currencies are down at least 10 percent against the January 2014 dollar in many popular travel destinations, including Mexico, Argentina, the euro zone, Sweden, Norway, and much of Africa. Parts of the world that not long ago were unaffordable for many are now within closer reach. Here are five places where the strong dollar will carry you surprisingly far in 2015. Since 2012, the yen has decreased in value by a whopping 43%. Hotels have raised their rates a bit, says Duff Trimble, our Trusted Travel Expert for Japan, but not nearly enough to keep up. This makes the country a bargain compared to what it cost to travel there a few years ago. You’ll find the best deals outside the peak periods for cherry blossoms (early April) and fall foliage (late November). Game for a last-minute getaway? Why not try skiing in Japan this winter. Read Duff’s Insider’s Guide to Japan. To get the best possible trip, use Wendy’s trip-request form to contact Duff. A weakening rand and strong U.S. dollar mean that these two African nations are a steal for American travelers right now (the Namibian dollar is tied to the South African rand). Two years ago, $1 bought you about 8 rand; today, the rate is above 11.50. Over the course of a five-night safari, that difference could save a couple more than $3,500 at Royal Malewane, a luxury lodge situated on a private game reserve adjacent to Kruger National Park. Read Insider’s Guides from some of our Trusted Travel Experts for Africa: Nina Wennersten and Dan Saperstein’s Insider’s Guide to South Africa Safaris, and Cherri Briggs’s Insider’s Guide to Namibia. To get the best possible trip, use Wendy’s trip-request forms to contact Nina and Dan or Cherri. Yes, the dollar buys more British pounds than it has in over a year. But that’s not the only reason that there’s value to be found in this perennially expensive city, says our Trusted Travel Expert for the United Kingdom, Jonathan Epstein. Several new five-star hotels have opened recently, and the competition has driven prices down: At the Milestone Hotel overlooking Kensington Palace, for instance, your fourth night is free (in a suite, the third night comes at no charge); at the Athenaeum Hotel in Mayfair, Epstein’s clients get 50 percent off a second room during certain times of year. Read Jonathan’s Insider advice for London Heathrow overnight layovers. To get the best possible trip, use Wendy’s trip-request form to contact Jonathan. With “diminished crowds and dramatically lower prices,” reports our Trusted Travel Expert for Russia, Greg Tepper, “now is the best time to visit Russia in many, many years.” Despite the current political climate, urban Russians are generally pro-Western, and personal safety is no more a concern than in Rome or Paris. If you want the best value, advises Tepper, start booking now: Hotels are at a huge discount, but many have already warned Tepper that they may soon start quoting rates in dollars or euros. Dance lovers would be wise to plan a trip during the Mariinsky International Ballet Festival in mid-March, when acclaimed dancers from around the world perform together in St. Petersburg. Tepper’s three-night programs to Moscow and St. Petersburg are the perfect introductions to these legendary cities; for WendyPerrin.com readers, the packages (including luxury hotel accommodations with breakfast, airport transfers, and one day’s private guided touring) start at $1,675 per person in Moscow and $1,200 per person in St. Petersburg—about 25 percent off what the same would have cost last year. Read Greg’s Insider’s Guides to Moscow and to St. Petersburg. To get the best possible trip, use Wendy’s trip-request form to contact Greg. 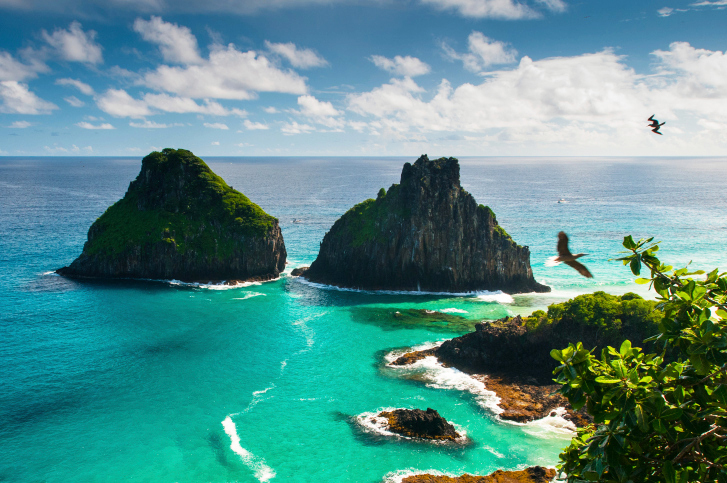 Even in the quiet year shoehorned between hosting duties for the World Cup and the Olympics, Brazil is a hot destination—but also a more affordable one for Americans, thanks to the most favorable exchange rate in almost a decade. From the megalopolis of Rio de Janeiro to the jungles of the Amazon, prices are about 20 percent lower than even last year, and the Brazilian real isn’t predicted to strengthen until 2016. Read our Trusted Travel Expert Paul Irvine’s Insider’s Guides to Rio de Janeiro and to Trancoso, Brazil. To get the best possible trip, use Wendy’s trip-request form to contact Paul. This story originally appeared under the headline Five Expensive Destinations That Will Be Cheaper in 2015 at WendyPerrin.com.